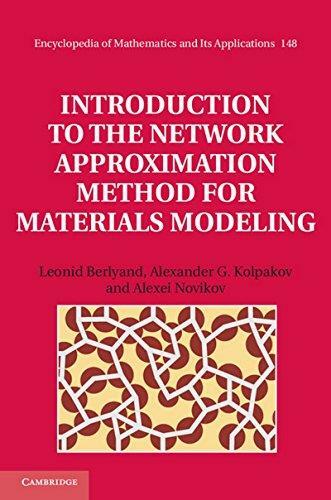 Introduction to the Network Approximation Method for Materials Modeling | Free eBooks Download - EBOOKEE! In recent years the traditional subject of continuum mechanics has grown rapidly and many new techniques have emerged. This text provides a rigorous, yet accessible introduction to the basic concepts of the network approximation method and provides a unified approach for solving a wide variety of applied problems. As a unifying theme, the authors discuss in detail the transport problem in a system of bodies. They solve the problem of closely placed bodies using the new method of network approximation for PDE with discontinuous coefficients, developed in the 2000s by applied mathematicians in the USA and Russia. Intended for graduate students in applied mathematics and related fields such as physics, chemistry and engineering, the book is also a useful overview of the topic for researchers in these areas. No comments for "Introduction to the Network Approximation Method for Materials Modeling".